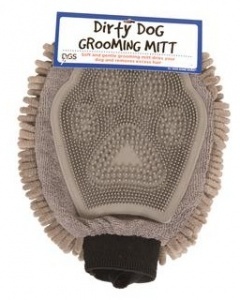 The soft and gentle grooming mitt dries your dog and removes excess hair. 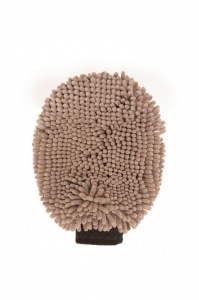 Absorbs 10 times its weight in water and dirt, whilst the ultra-plush microfiber fabric massages your pet dry. With quick drying gentle rubber nubs to trap and remove dirt. Also great for wiping away slobber!